We have yet another sad edition of the NNHS Newsletter today. 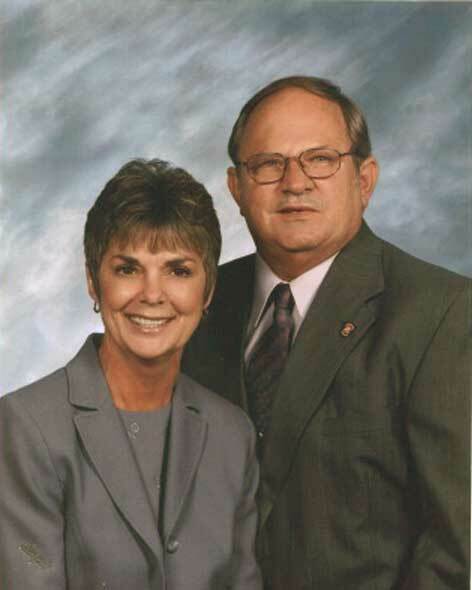 Jimmy ("Butch") Meador of the Class of 1961 has passed away at his home in Newport News shortly before his 65th birthday.. For 44 years he was married to the love of his life, Carol Thomas Meador('65). NEWPORT NEWS - James E. 'Butch' Meador died suddenly at home, Wednesday, Aug. 15, 2007. He was born Sept. 6, 1942, at the old Buxton Hospital in Newport News, Va. He was preceded in death by his parents, James and Gladys Meador, and his sister, Barbara Baker. Butch was an active member of Seaford Baptist Church, where he enjoyed working tirelessly in the kitchen where he made it his personal goal that everyone was well fed and no one left hungry. One of the things he was most proud of was that he learned sign language and signed along side his granddaughter, Abby Ragans, during the Seaford Baptist Christmas Musical. Butch was a member of the Breemond Masonic Lodge in Newport News. He was an active member of the Red Knights Motorcycle Club 'Virginia 6.' He was also a member of the Harley Owners Group of Yorktown. Riding his bike was an enjoyment as well as a way for him to continue giving to others by participating in many fundraising rides. In his lifetime, he served his country in the United States Marine Corps. He worked for seven years for UPS. After leaving UPS he discovered his true passion in life, fire fighting. Butch joined the York County Fire Department, where he served 20 years before retiring as a Battalion Chief in 1980 due to health issues. During the 20 years he dedicated himself to serving the citizens and his fellow fire fighters. For Butch fire fighting was not a job it was a way of life and that showed in the many citations and merits he received during his career. One such citation was given to him and signed by President Ronald Reagan for saving the life of a citizen while he was off duty. He was awarded the York County Employee of the Year Award by the Exchange Club of York County in 1982. Even after his retirement from the department he continued his charitable ways, one example of this was after seeing the devastation and destruction of Hurricane Isabel he coordinated the relief efforts and personally delivered water and ice to many residents on Seaford. Even in death Butch's caring spirit lives on as he was an organ donor. He was currently employed by Resource Bank in Newport News, Va. He leaves behind his soul mate and true love of his life, Carol, his wife of 44 years; his daughter, Robin Ragans and her husband, Tommy Ragans; his son, Jeff Meador and his wife, Terrie Meador; the lights of his life four beautiful granddaughters, Megan Meador, Abby Ragans, Taylor Ragans and Laci Ragans; his mother-in-law, Florine Thomas; sisters-in-law, Jean Merrill and husband, Tommy, and Sandra Reinholdt; and nieces and nephews residing in Georgia as well as numerous loving family members and friends here in Virginia. A Celebration of Life Service will be held at 10 a.m. Saturday, Aug. 18, at Parklawn-Wood Funeral Home. The family will receive friends from 5 to 7 p.m. Friday at the funeral home. 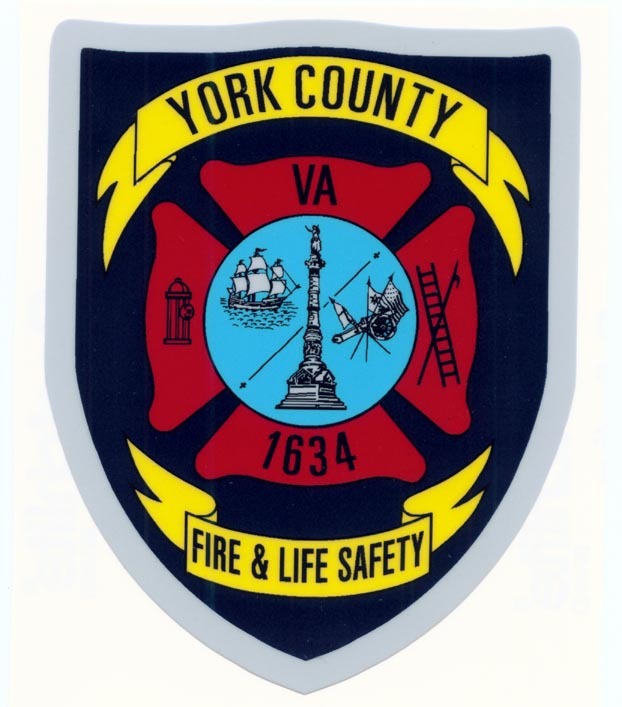 In lieu of flowers, the family requests that donations be made to the York County Fire & Life Safety, 301 Goodwin Neck Road, Yorktown, VA 23690. 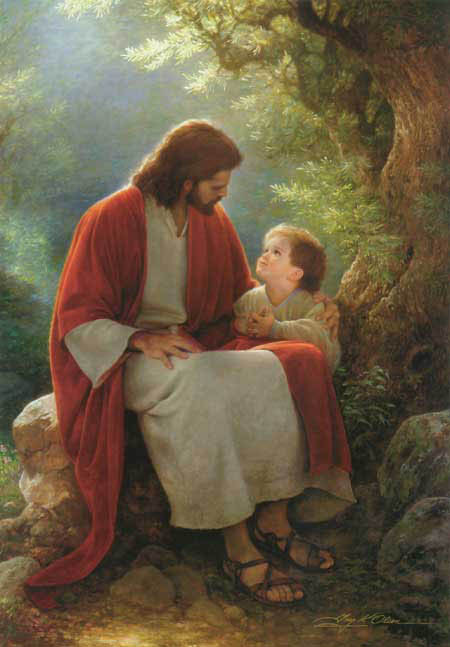 Friends are encouraged to visit www.mem.com to share words of comfort with the family. Service arrangements are under the care of Parklawn-Wood Funeral Home, 2551 N. Armistead Ave., Hampton. Published in the Daily Press on 8/17/2007. The years I had Butch as a supervisor while working for the York F.D. are years I will always treasure. He was my Batt. Chief and also a friend. I regret not staying in closer contact with him in recent years. I'll miss you, "Chief" Meador. We were so sorry to read of Butch's passing in the paper today. Please know that our love and prayers are with you and your family. Our prayers are with you and your family. Chief Meador was an inspiration to me as my Battalion Chief with York County and he will be missed by many. I was shocked to hear of Butch's passing, and my heart and prayers go out to each of you. I remember Butch from the many, many years that I worked at Grafton Garage in Yorktown. He always came in to either have some work done to his vehicles or to just talk and joke with "Bubs" and the other guys. He could always make you laugh and I know he will be sadly missed by all who knew and loved him. 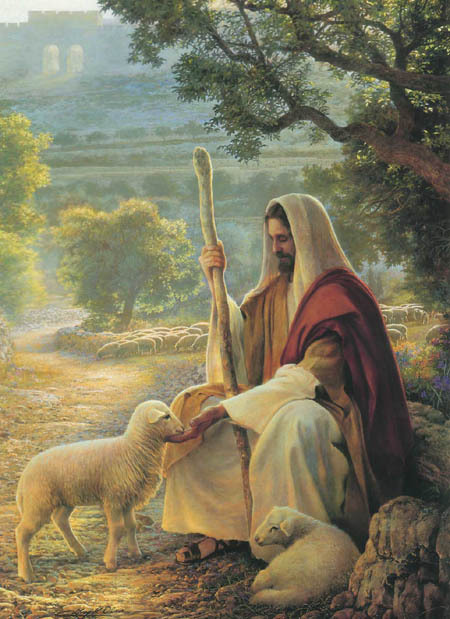 The Lord is with each and every one of you, just as Butch is and he will watch over you every day. May God bless you and your family in this time of sorrow. You and the rest of your family are in my thoughts and prayers. Butch was a great guy, and I am honored to have known him in my time working for York County. Butch was always easy going and fun to deal with at work. My thoughts are with Jeff, Terri, and the rest of his family. Butch will always be fondly remembered by so many people. What a tragic loss for all of us. Butch Meador was one of the funniest people I have ever had the joy of working with! I will remember you always. We are very sorry that we could not be with you during this time of grieving. Our prayers thoughts and hearts are with you, and your children. We have many good memories of "Butch" from over the years. He was a "great Host' and a "great cook." and we enjoyed many of his meals over the years. Our family reunions will not be the same without his smiling face and good food. Enjoyed discussing "cars" and driving a couple of his "hot rods" over the years. We have lost a loving member of our family and will miss him very much. Butch was a fine Marine. I watched him grow up in Newport News, and then enlist the Marine Corps. As we like to say in the Corps, he is now Guarding The Gates. May his family find peace in this time of grief. Our sincerest sympathies are extended to Carol and her entire family at this time. I hope you are doing well. You are the very best in informing everyone of any news, and I regret to inform those who knew him, that James E. "Butch" Meador has passed away. I saw the obituary in today's Daily Press. He died suddenly, Wednesday, August 15, 2007, at his home. 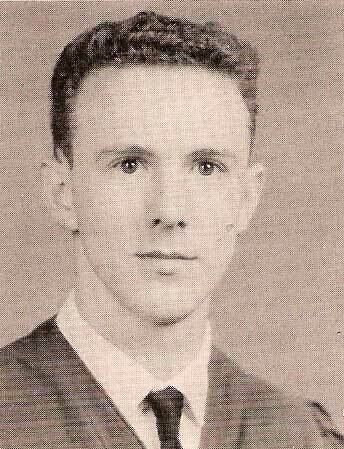 I went all the way through high school with him and I checked the 1960 yearbook and did not find his picture? He was a truly nice guy and the obituary is a testimony of the man he was and all of his accomplishments in life. I saw him once a few years ago at a restaurant and spoke to him, mentioning the great reunions. He expressed an interest and I gave his address to Bonnie Moell Manning.....He did not make the next reunion. I recognized him immediately when I saw him. Apparently, he made a great impact on many people. 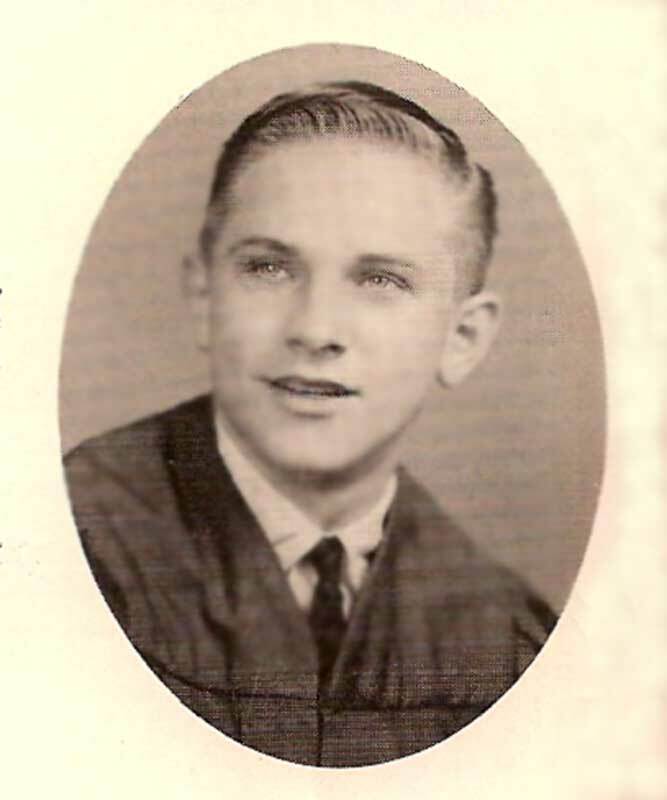 Take care, Fred Mays, class of '60. Thank you, Fred. I was working on his Newsletter when your note arrived. Read in today's paper that James E. "Butch" Meador passed away on 8/15/07. Don't know if he went to NNHS but his wife, Carol Thomas was n the Class of '65. They got married when she was in the 11th grade and she didn't finish with the Class. Carol has worked at Peninsula Memorial Park for about 15 years. Every time I have business there (which has been several times in the last couple of years) we talk about the wonderful times at NNHS. She never fails to talk about her husband who was the true love of her life! Just thought you'd want to know about this. Thank you, Elizabeth. I remember Carol very well. From her photograph it appears she is just as beautiful now as she was then.